The latest exhibition at Redland Art Gallery, Cleveland Connections to the waters of Minjerribah draws strong inspirations from a much-loved part of Redland City. North Stradbroke Island is known to Traditional Owners the Quandamooka People as Minjerribah and has inspired a collection of textile designs from Indigenous contemporary visual arts and craft centre Salt Water Murris Quandamooka Inc.
Salt Water Murris Quandamooka Inc. artists, Belinda Close, Elisa Jane Carmichael, Delvene Cockatoo-Collins, Sandra Delaney and Sonja Carmichael have collaborated to create Connections to Waters of Minjerribah, which runs from Sunday 8 February until Sunday 22 March 2015 at Redland Art Gallery, Cleveland. Redland City Council’s Cultural spokesperson Cr Lance Hewlett said the exhibition would allow people to view deeply personal representations of the island. “Minjerribah holds a special place in the hearts of many and we are honoured to be partnering with Salt Water Murris to give people a glimpse into the Quandamooka People’s connection to the land and seas around them. “Connections to the waters of Minjerribah presents a new way of looking at the North Stradbroke Island environment through the artists’ textile designs,” Cr Hewlett said. 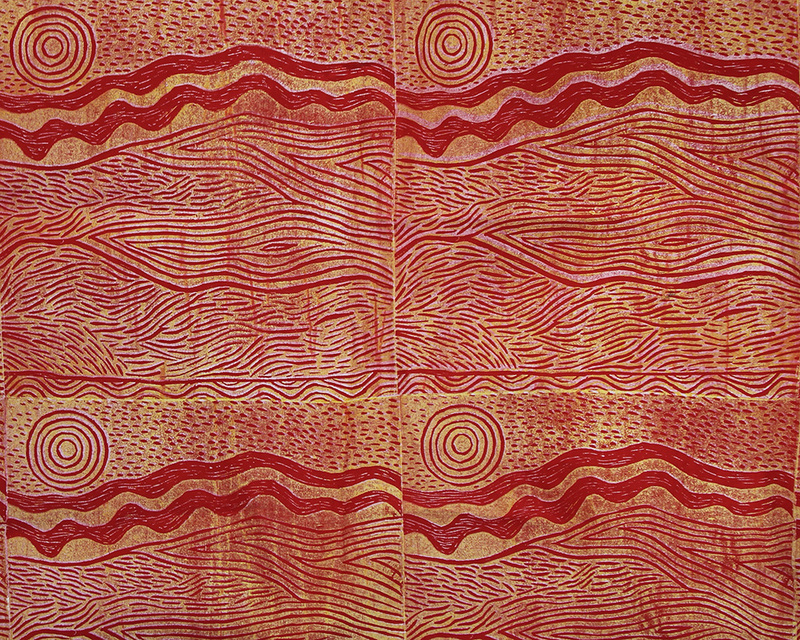 Redland Art Gallery Curatorial Officer, Freja Carmichael, herself is a Traditional Owner, said the Quandamooka People identify themselves as the people of the sand and seas and this deep connection is expressed in this exhibition. “The series of designs express a contemporary approach, informed by traditional culture and a deep relationship with salt water, and fresh water country,” Freja said. The exhibition will be formally opened at 6pm on Friday 6 February. To attend, please RSVP by Wednesday 4 February to (07) 3030 4163 or email gallery@redland.qld.gov.au. There will also be exhibiting artist floor talks and a morning tea from 11.30am on Sunday 8 February. 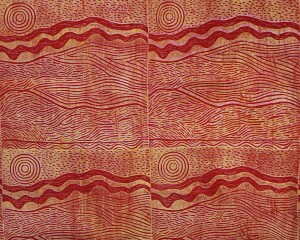 Image: Elisa Jane Carmichael, Minjerribah sunrise sunset on the sea (detail) 2014, lino print on cotton. Courtesy of the artist.